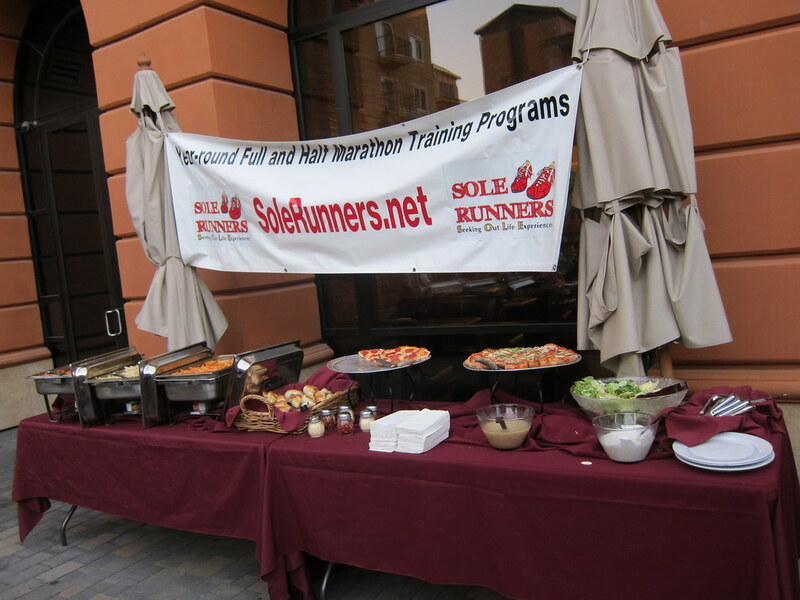 The Green Girl attended the Sole Runners Summer Season Kick-Off Party at Buono's Pizza in Downtown Long Beach this evening. This will be my seventh season as a Sole Runner and my second as a mentor. Coach Steve welcomed everyone and provided an overview of the Sole Runners program and training philosophy to all the new and potential members. He also congratulated all the Sole Runners who completed the Vancouver Marathon over the weekend. 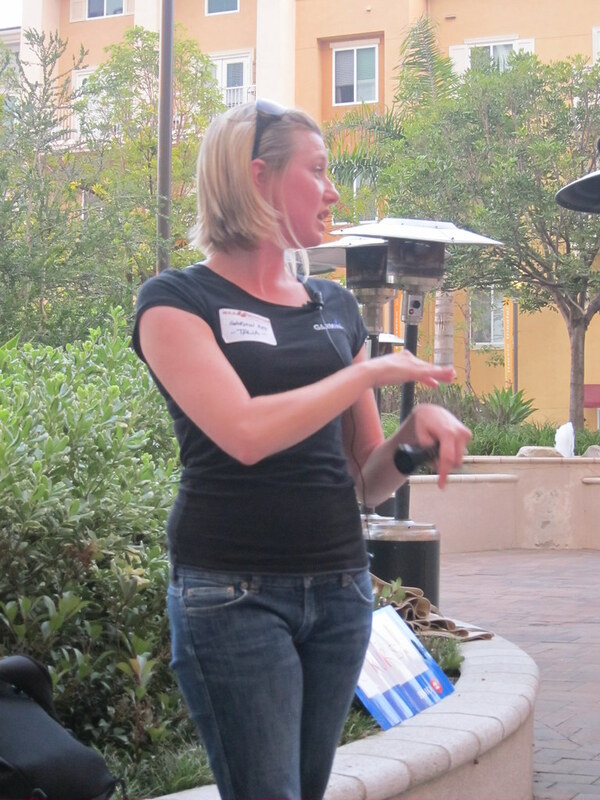 Coach Steve also invited a representative from Garmin to talk to us about the Forerunner line of products and answer our questions. I asked how I could use Mr. Green Garmin's Interval training and still see overall statistics such as average speed, distance, and time. Unfortunately, she was not able to answer my question so she gave me her contact information so I can email her. Next, Coach Steve had all the mentors give a brief personal introduction. 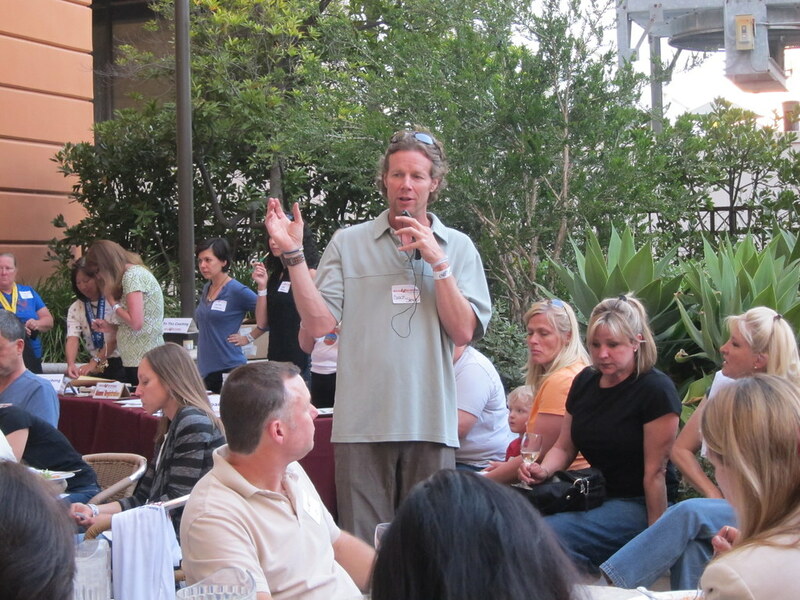 Some mentors offered words of advice in addition to encouraging people to join our group. Coach Steve finished off the night with a raffle. Sounds like a great social group! Happy season! Hey, another party! Can only be good! 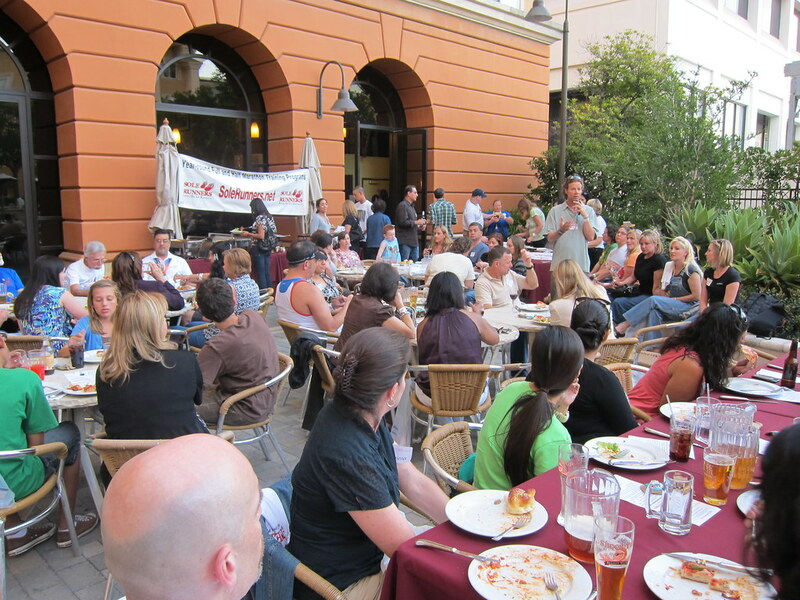 I like to attend events and socials with my running club. There is always something special about a group of runners eating together. All the best for the season! I’m sure you’ve got a lot planned already.